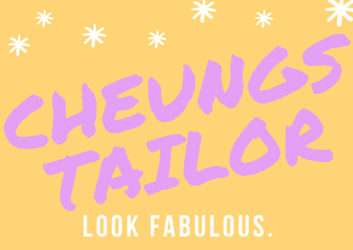 Summer days are certainly bright, so sleep in and enjoy some shade with Cheung’s Tailor Alterations. We help provide custom curtain and drapery to your desire. Bring in the fabric you enjoy, the measurement of what you’d like cover, and give us some time bam! New curtains. Most common curtain products we see are hemming or stitching only for the curtain rods to fit and create a ruffled design. If you have curtains at home that are too long we can help you hem, restyle, or add an extra layer. For best results we encourage our clients when measure that extra precautions. It may be best to hem things a tad longer than shorter before the material is cut. Always ask for a second opinion. Whether the style is to have it touch the floor or hang a little bit we’d like to help you do it right the first time. During your measurement wherever you’d like to have hemmed we encourage you to place non-adhesive masking take to mark the line, a safety pin, or even a simple pencil mark on the back. Dependent on the product and the material please use caution for how you plan to measure and remember the length. We do discourage ironing a crease as this could damage synthetic materials. Next time you visit, check out our fitting room curtains, those are custom made by Cheung’s Tailor they may not be the most stylish but we certainly enjoyed it. *This is only a small list of what we are able to do, please let us know if you think of something else. We’re Here To Help You Look Your Best! Fill out the form and our team will be in touch with you promptly. Thank you for your interest Cheung’s Tailor Alterations!